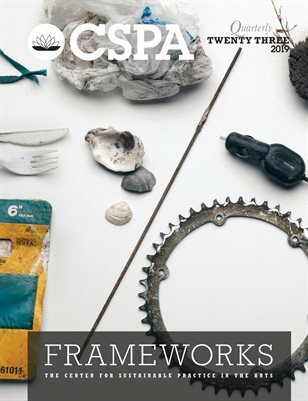 From April 2011 Arcola, alongside Hackney and Tower Hamlets Friends of the Earth group, are hosting a series of ﻿﻿﻿monthly, expert-led talks around exciting and challenging aspects of sustainability. Our overaraching theme is innovation, and tangible solutions to the sustainability issues of both today and tomorrow. Our first speaker on 28 April is Sue Riddlestone, of BioRegional. Information coming soon on her proposed topic – which will undoubtedly fire up conversation and inspire new thought. Tradable Energy Quotas: a solution for peak oil and climate change? Beth Stratford edited the recent report on Tradable Energy Quotas for the All Party Parliamentary Group on Peak Oil Peak Oil on Wikipedia). She is Energy and Finance Campaigner for Friends of the Earth Scotland, and an MSc student in Ecological Economics. If information campaigns are inadequate for motivating behaviour change, and carbon price rises are regressive, is there another approach? This lunchtime seminar will critically consider the role that Tradable Energy Quotas (TEQs) could play in shifting social norms, engaging ordinary people with the task of reducing our dependence on fossil fuels, and guaranteeing fairer access to energy when the going gets tough. It will also explore barriers to implementation – including issues of public perception and policy space – and try to identify useful areas for future research. 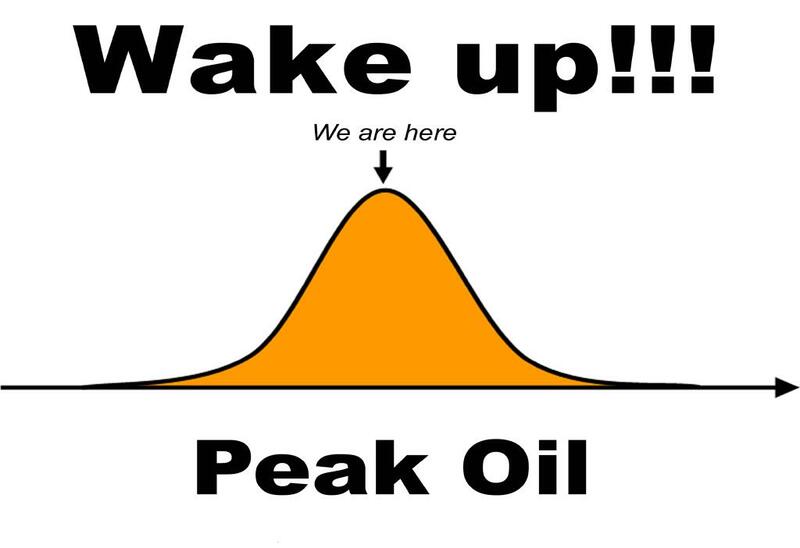 For thoughts about Peak Oil please also look at PLATFORM London’s blog. MSc student in Ecological Economics.Beth Stratford edited the recent report on TEQs <http://www.teqs.net/report> for the All Party Parliamentary Group on Peak Oil: www.teqs.net/report <http://www.teqs.net/report>. She is Energy and Finance Campaigner for Friends of the Earth Scotland, and an MSc student in Ecological Economics. From 7 – 18 December, representatives from 192 nations, as well as thousands of activists and NGO organisations, will gather in Denmark for the UN Climate Change Conference. To help solve the problem of over-booked hotel accommodation, NEW LIFE COPENHAGEN is running a volunteer-based campaign to get private Danish homes to open their door to the visitors. NEW LIFE COPENHAGEN is organised by the arts collective Wooloo.org, who are utilizing this large-scale human meeting as its exhibition platform. Artists and performers will be presenting events, happenings and performances as part of their ‘residencies’, for hosts and guests in Copenhagen. The artists curated by Wooloo.org will develop projects that reflect a new, sustainable way of life, works that are experiments in civic engagement and social empowerment. 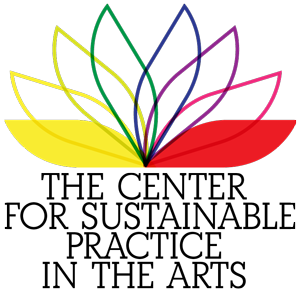 NEW LIFE COPENHAGEN is an official partner of both the UN Climate Summit and the Alternative Climate Summit. Friends of the Earth and WWF are co-partners. 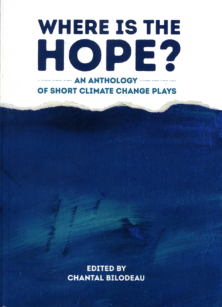 Produced by Arcola theatre as part of Friends of the Earth’s Summer of Action on Biofuels. 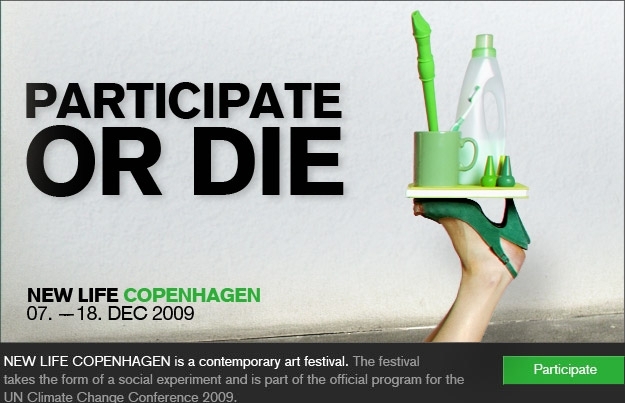 The 10 minute street performance addresses the complex issues surrounding the use of biofuels. The playful but uncompromising piece demonstrates that biofuels are a false solution to climate change. A politician looking for a quick fix to climate change. A business man looking for easy money. A farmer who will pay the price for their misguided actions. Arcola will be performing their street theatre around London and also in Brighton during the summer. Arcola Energy will host Green Sundays on the first Sunday of each month, starting with a launch on 1 March. The Green Sundays are free events, and the public is welcome to drop in to Arcola Theatre throughout the day from 1:30 – 7:30 pm. The Green Sundays programme will feature music, games, films, speakers and readings based loosely on an issue under the climate change umbrella, such as food, travel, energy or politics. Green Sundays are intended to demonstrate how a creative industry, such as theatre, can provide a space to discuss the environment and how people can work together to tackle climate change. Arcola’s partner for Green Sundays is Be The Change. 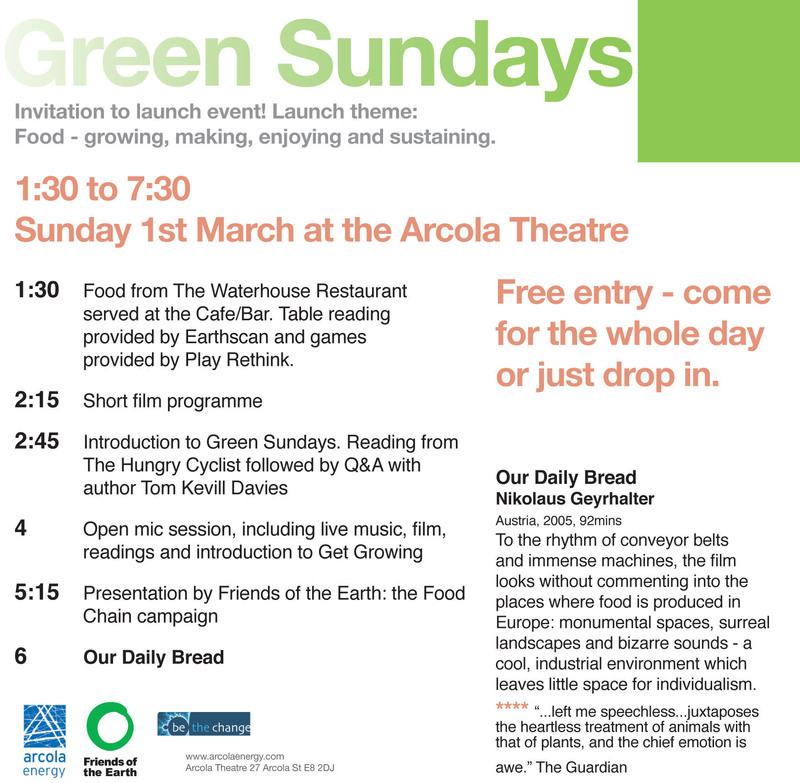 Join us at the launch of Arcola’s Green Sundays, more details at www.arcolaenergy.com. The Water’s Edge 3-28 Feb by Theresa Rebeck A modern Greek tragedy that explodes the American family from within. With Madeleine Potter, Robert Cavanah, Mark Field, Cressida Trew and Kate Sissons. Arcola Theatre is a Regularly Funded Organisation of Arts Council England.